Home Community Local Fort Negley Being Developed Commercially is Disrespectful to African Americans! Fort Negley Being Developed Commercially is Disrespectful to African Americans! There is much controversy surrounding the forthcoming razing and redevelopment of the Greer Stadium and its parking area, and how it will affect Fort Negley. Little wonder too, as those who won the bid to redevelop the property try to sugar coat the situation with charm and rhetoric that has little to do with respecting the African American history. First, let’s clarify. Greer Stadium – parking area and all – is in Fort Negley Park. It is not a separate piece of land. 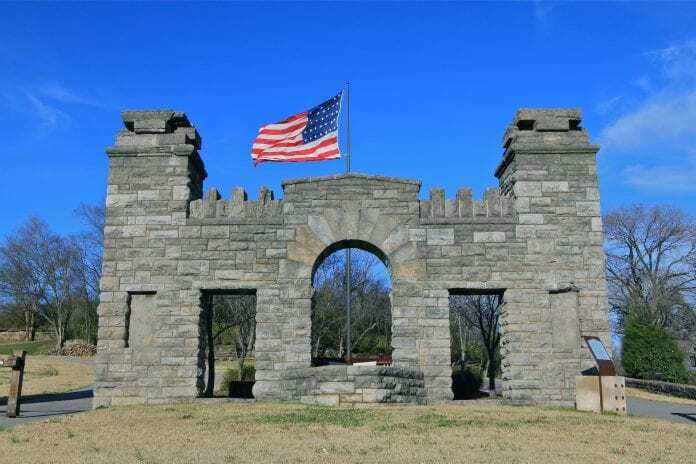 Fort Negley Park covers near 60 acres and the Fort itself was built mostly by African American local slaves or slaves who’d already been freed but who were conscripted into service. Many were told their “slave status” would be revoked if they did this work for the Union Army. Over 2700 blacks were involved in its construction. Many gave their lives for it. Second, there is a need for further discussion as to the decided development of this area – as seemingly, the majority of the community would prefer this area to remain as green space. There is also need for scrutiny of these developers and of their plan. Not simply to be hardnosed but to make sure this area, at the very least, is handled with great care. And if development of the area does ensue and remains of African Americans or soldiers are found, that there is a definitive, publicized plan that ensures they will be honored and protected; one that outlines in detail to the public how that will be done. Professor Zada Law, noted archeologist and professor at MTSU thinks any redevelopment could be detrimental to the history still buried there. Law has been quoted as saying, “the thing about removing is you don’t necessarily get all the pieces” [because we] “don’t know how well they did it 150 years ago.” Further the area is “not just a military landscape. It is one of the most historic African American and archeological sites in the United States.” So there is a great need for care in this area. Historical African American cemeteries are threatened by several sources such as un-kept vegetation, forgetting they exist, vandalism and individuals who are interested in excavating or building on top of these cemeteries for commercial profit with no regards for preservation of our ancestors. Nashville developers have not really been all that successful at working with communities, tribes or others when bodies are found. As recently as February this year a developer unearthed at least 40 stone boxed graves of Native American Indians that were dated between the 14th and 16th centuries. The developers were allowed to move them and rebury them on the same property but it did not set well with the Native American Indian Association and its activists, nor should it have. They felt the remains were sacred and the journey of their people would be disturbed. For Native American Indians however, the law states that if a landowner finds and needs to move Native American graves Native American representatives must be allowed to monitor the excavating. Will that same respect be given the African American Community? When the Nashville Zoo unearthed African American graves in 2014, they took great strides to find out all they could about the persons they found and started exhibits to tell more about who the people were – simply out of respect. Will Bert Mathews and his team do the same? Nothing has been reported that would bring anyone to that conclusion. Many have read these carefully placed and strategically timed stories about how wonderful it all is – and yay, at no cost to taxpayers. But what about the truths surrounding the big questions? What will developers Bert Mathews, T-Bone Burnett and Tom Middleton be doing to preserve the history of the African Americans who gave their lives to build Fort Negley? Af r ican-Amer ican cemeteries are absolutely essential to understanding African-American ancestry. These fragile, sacred burial grounds are among the most valuable of archaeological and historic riches and often times present the only evidence that our ancestors were a part of the fabric that contributed to the African American culture in Tennessee. Tom Middleton has said he and his partners have “hired archeologists.” Will the archeologists be allowed to take charge of the area of development first? Will they be allowed the time to sift layer by layer of soil away to carefully remove any remains they find? When they find them, how will they be preserved? Where will they be moved? How will they be honored? There is no mention of a museum to carry on the story. Why not? Should it not be part of the “culture” they claim to be creating? If this moves forward it should, by all means, include a huge memorial to our ancestors, not some tiny marker on the grounds. And if there are soldiers still buried there they should be moved to Greenwood Cemetery where most of our prominent ancestors are buried like all of the College Presidents, bankers, lawyers, etc. The majority of this community – from all observations – wants to keep this area green. Why so much resistance to provide a museum? Why not allow others the chance at developing a plan that would include both a museum and folding Greer Stadium and its parking area back to parkland that would improve the neighborhood? Doing so could produce additional tourism dollars, honor Nashville’s Civil War history and preserve the fragile area where so many African Americans gave their lives. Doing so…would be to respect African Americans.